Here is the display from Super 7 at San Diego comic-Con 2018. They also have pop-up shops and events in San Diego this weekend, and those will likely have additional items not seen here. They also may add new items as the event goes on. So check back for this weekend. In here you can find a lot of new ReAction Figures, a few Masters of the Universe items and more. Super 7 has released photos and some details for their upcoming San Diego Comic-Con 2018 Exclusives. They have a wide array of items, including ReAction Figures, M.U.S.C.L.E., a Play Set and even a Transformers item. Check out the list below, and see the photos by clicking the headline of the story. Transformers – Super Cyborg Optimus Prime 18″ Figure with removable chest plate (Clear). SDCC Exclusive. $75 each. Alien – Hammerhead Tribute Xenomorph 3.75″ ReAction Figure with coin. SDCC Exclusive. $15 each. Misfits – Fiend Glow-In-The-Dark 3.75″ ReAction Figure. SDCC Exclusive. $15 each. Iron Maiden – Classic Union Jack 1.75″ MUSCLE Figures 3-Pack. SDCC Debut colorway and cardback art. $6.00 per pack. 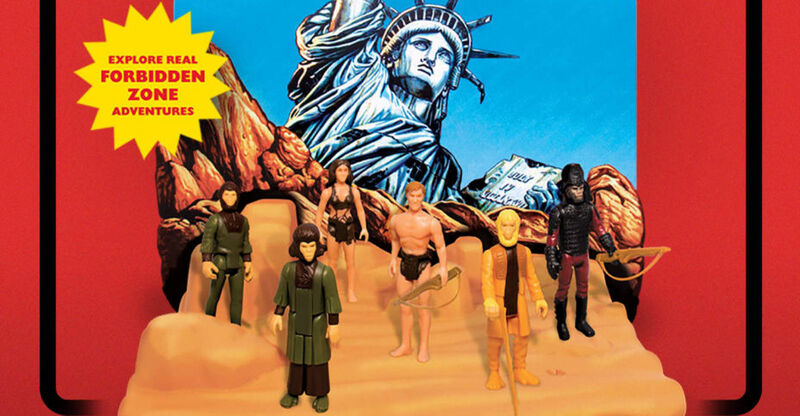 Planet of the Apes – Statue of Liberty Action Playset (ReAction Figures not included). SDCC Exclusive. $75 each. Universal Monsters Boodega Monstore. 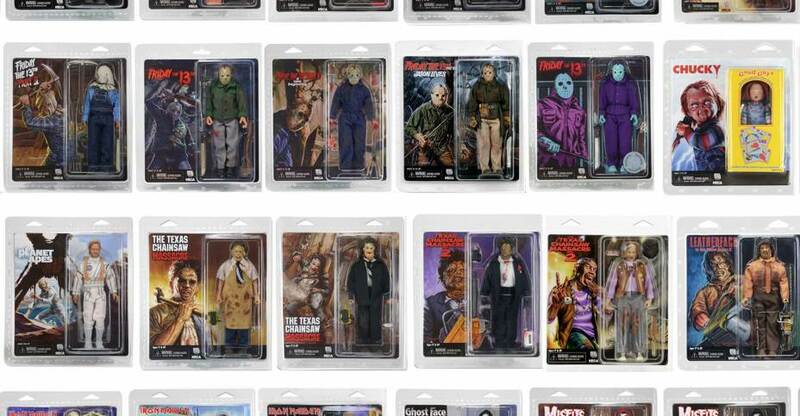 Universal Monsters ReAction Figures. $15 each. 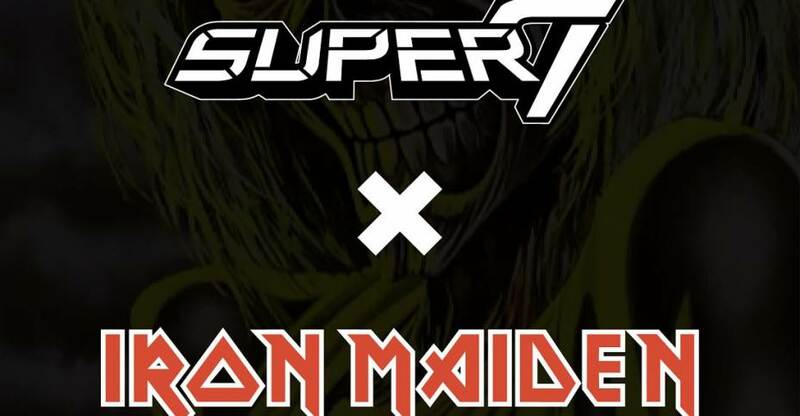 Super 7 Releases New Alien ReAction and Iron Maiden M.U.S.C.L.E. Two new releases are now available from Super 7. 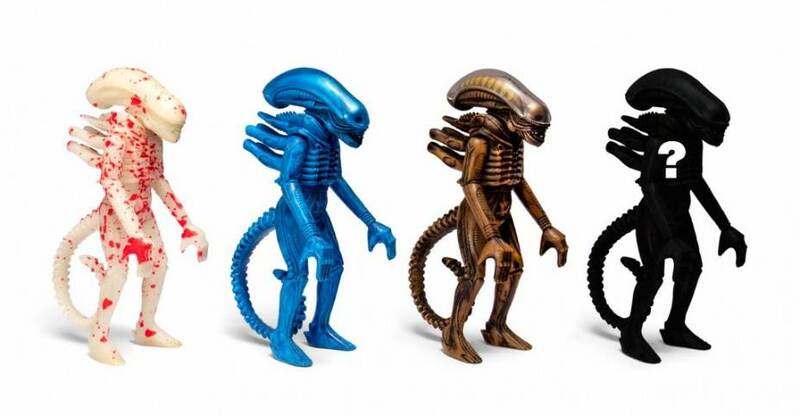 The new items include their Alien Blind Box Xenomorph ReAction Figure – Wave 2 Figures, as well as their Iron Maiden – M.U.S.C.L.E. Black 3-Pack. These items are available for immediate shipping. Check out details and order links below. After the jump, you can check out a few images. Please note item selection is random and items are in blind packaging. We cannot accept requests for specific items and you may receive duplicates when ordering more than 1 item. This is a sealed flat containing 12 blind boxes with a variant mix of 3 dwarf star, 4 space dust, 4 blood moon, and 1 supernova. 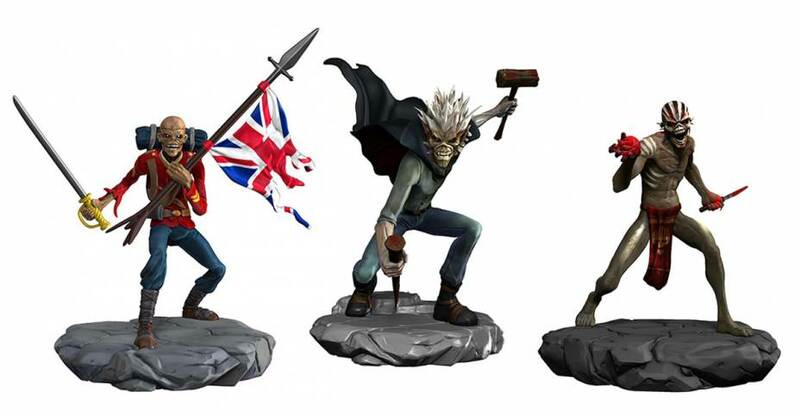 You can also order All Four Iron Maiden Eddie Figures as a set (no discount unfortunately). 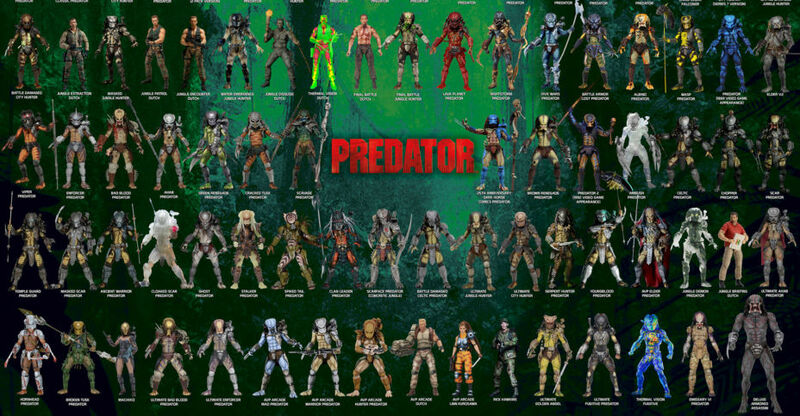 Read on to see some images of the figures. Up the irons! Toyark sponsor Entertainment Earth has posted up pre-orders for some new Iron Maiden Collectibles! The new series of collectibles are based on the mobile RPG Iron Maiden: Legacy of the Beast. The new blind boxes, vinyl figures, keychains and more coming from Maiden Collectibles, a subsidiary of Iron Maiden Holdings. Check out details and pre-order links from EE below. Read on for some images of the new collectibles. Trooper Eddie features the anti-hero holding a sword in his right hand and a torn British flag in his left. Dressed like a soldier, he’s ready for the battlefield. No vampire stands a chance with Vampire Hunter Eddie holding his stake and mallet. His menacing smile, windswept cape, and hair will even send chills down the spines of the Transylvanian undead. Traveling back in time to the Mayan underworld this Shaman Eddie is ready for a sacrifice. He stands, holding a bloody dagger and bleeding heart. Don’t remain a slave to the power, get the Pharaoh Head Keychain. 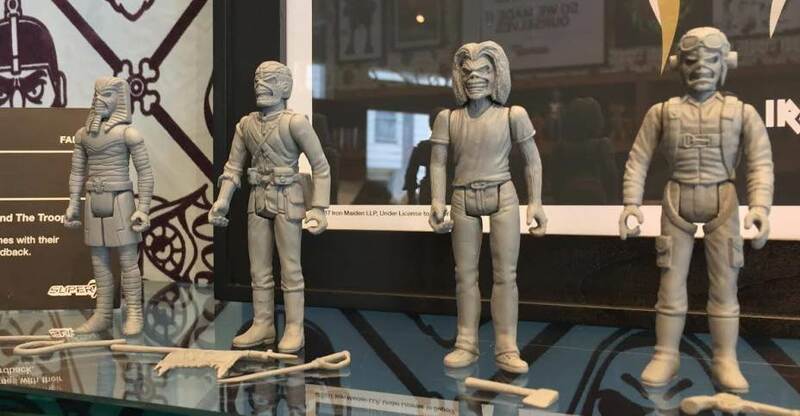 Holy Smokes Head Keychain is based on Eddie’s first look in Legacy of the Beast. Reaper Head Keychain lets you dance with the dead. The Beast Head Keychain may not hold six hundred and sixty-six keys but it does come with a metal key ring to hang where ever you like. Look for the figures to be available in the Fall. We’ll update with further details as they become available. Check out the photos by reading on. 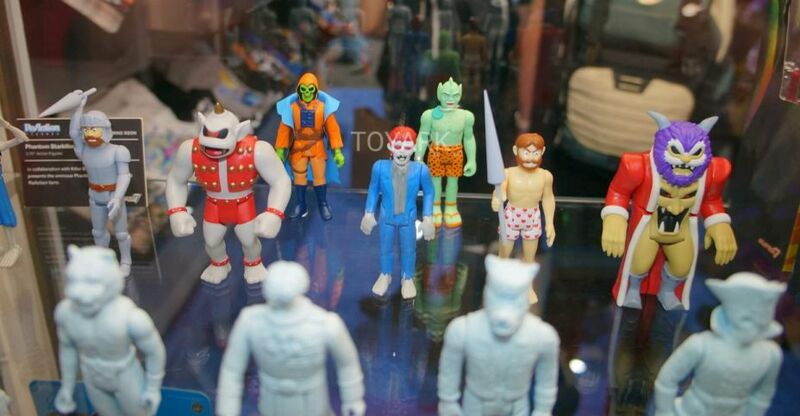 In a new tweet by Super 7 they have announced a new license acquisition. They have acquired the license to Iron Maiden, the legendary metal band known for hits like Run to the Hills, Number of the Beast, The Trooper, 2 Minutes to Midnight and many more. The image in the tweet shows Eddie the Head, but we don’t know yet how the license will be used. We’ll update when we know more.